Flushing Kidney Stones : Have you ever heard that passing a kidney stone is more painful than giving birth? Each year, more than 1 million people in the U.S. rush to the emergency room with pain caused by a kidney stone. Kidney stones are hard, pebble-like pieces of material that form in one or both kidneys. They’re caused by high levels of certain minerals in your urine. Stones vary in size from tiny crystals that can only be seen with a microscope to stones over an inch wide. Tiny stones may pass out of your body without your even noticing. With larger stones, you won’t be so lucky. 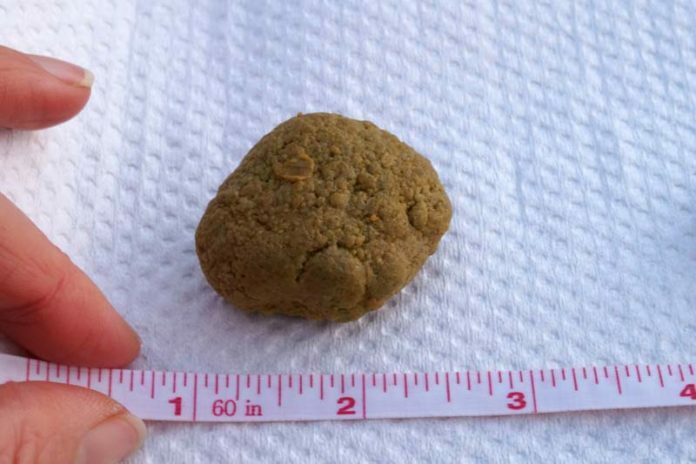 Stones that are larger than a pencil eraser can get stuck in the urinary tract—and that can really hurt. Kidney stones can form at any age, but they usually appear during middle age (40s to 60s). Of those who develop one stone, half will develop at least one more in the future. During the warmest months of the year, you’re at greatest risk of becoming dehydrated. “So it is really important to drink more than you usually drink during the cooler days or months,” Kirkali says. To detect kidney stones, your doctor may order lab or imaging tests. Lab tests look in urine for blood, signs of infection, minerals (like calcium), and stones. Blood tests can also detect high levels of certain minerals. “About 80% of all stones are made of calcium oxalate,” Kirkali says. Knowing what the stones are made of can help guide treatment. Treatment also depends on the stone’s size and location. CT scans or plain X-ray imaging can help your doctor pinpoint the location and estimate the size of a kidney stone. Depending on what your doctor finds, you may be prescribed medicine and advised to drink a lot of fluids. Or, you might need a procedure to break up or remove the kidney stone. There are different procedures for breaking up or removing kidney stones. One method delivers shock waves to the stone from outside of the body. Other strategies involve inserting a tool into the body, either through the urinary tract or directly into the kidney through surgery. After the stone is located, it can be broken up into smaller pieces. Once you’ve had a kidney stone, you have an increased chance for having another. NIH-supported scientists are studying ways to prevent kidney stones from returning. “We always tell our patients to drink more, but it’s not so easy to really increase your fluid intake,” Kirkali says. A new study is testing a method to encourage people to drink more fluids each day. Other NIH-funded studies are trying to unravel why some people seem more at risk of developing kidney stones. Still others are looking into how to better detect stones and treat them. Don’t let the pain of kidney stones send you to the emergency room. Keep hydrated! But if you develop any of the symptoms shown in the “Wise Choices” box, see your doctor right away.